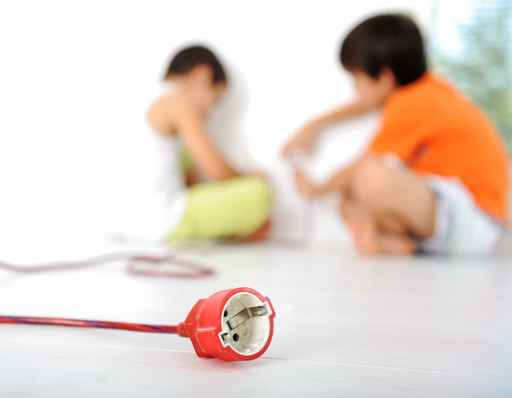 To prevent a child from getting an electrical shock from an outlet, buy durable socket covers and insert them into every outlet in the house. In addition, educate your child from a young age to stay away from sockets. When possible, sockets should be concealed behind furniture or secluded behind a safety gate. It is always a worry when kids play near wall sockets. they are at a perfect height to tempt their curiosity. Using durable socket covers inserted into the socket will help put this risk at bay. In addition it is advisable to educate children at a young age of the dangers that electricity holds. We’ve all seen the public notice adverts when we were kids, maybe the one where the boy is trying to retrieve the kite from the pylon. This is a danger that still exists so again, it is important to educate children about these dangers. Consult your local Solihull Electrician if you have any concerns.